The Saltwells Inn is ideally placed in beautiful surroundings, offering a family friendly pub and restaurant environment in Dudley. With a fully stocked bar and kitchen, Saltwells Inn can provide a wide range of delicious food using fresh ingredients at excellent prices. The restaurant menu is varied, offering a wide range of different food to cater for every taste. With special themed nights also available such as Pie and Pud Tuesday, Wednesday Burger Club or Thursday Curry Night, you can find excellent value for money every day of the week. Saltwells Inn also has a special offer of 2 for £10 all day everyday on set meals. A kids menu is also available for younger guests with a mix of different foods including desserts. Food is served Sunday to Thursday from 12pm to 9pm while on Friday and Saturday the menu runs from 12pm to 10pm. 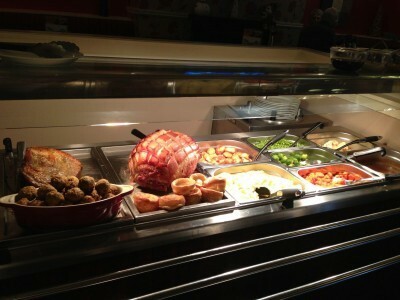 A carvery is available from 12pm till 3pm in the week. If you need accommodation in the West Midlands, Saltwells Inn can also offer great rooms for business people, workers and tourists alike. With close links to Cradley Heath train station and Merry Hill Bus Station, transport access isn't a problem. All rooms are clean and include a television as well as tea and coffee making facilities to ensure your stay is as comfortable as possible. 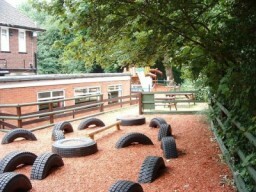 These rooms are ideal for short breaks in the West Midlands, with stunning surroundings and a welcoming atmosphere. There are also two adventure play areas with ample adult seating, giving both you and your children some where to relax while enjoying the surrounding woodland. 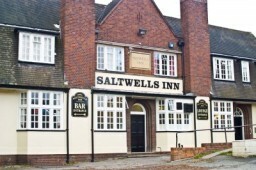 Saltwells Inn is a bed and breakfast as well as a family pub and restaurant, offering the ideal venue for a short break or relaxing day out in the West Midlands.